Greetings, fiction-faithful! Welcome to issue double-quattro of Canon Fodder, forged in the fires of launch-time preparation. Last week we chatted with 343 Industries Franchise Development Director Frank O’Connor about Halo: Saint’s Testimony and Hunt the Truth. Speaking of which, by now you will have been able to have laid your ears on multiple episodes that make up the opening salvo of the auditory adventure. Needless to say, Season 2 has wasted very little time in ramping things up to a fevered pitch, and shows no signs of letting up. And if that weren’t enough, if you happened to be watching this week’s installment of Sunday Night Football, you probably came face to face with a few other foundation-shaking revelations. 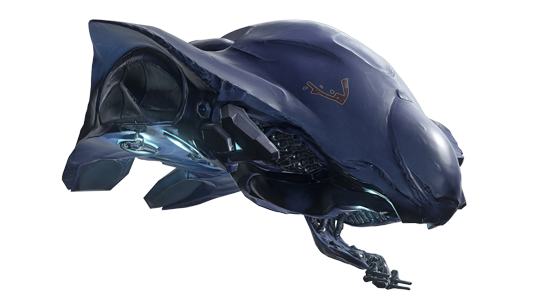 Today’s focus around these parts will be on some of the new-to-you aesthetics of several alien vehicles you’ll be employing and/or encountering in Halo 5: Guardians, as well as some cool new features on the Halo Channel that we feel the fiction-focused will find quite useful. Read on! 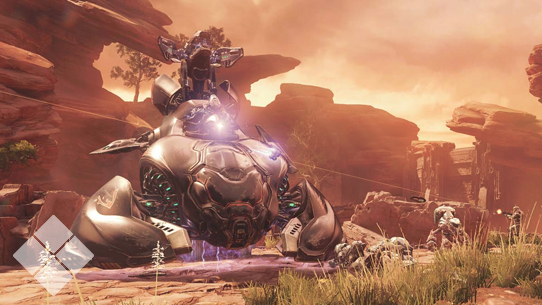 During Halo 5: Guardians, the Sangheili are embroiled in a massive civil war that tears apart their homeworld of Sanghelios. In these tumultuous times both the Covenant and Swords of Sanghelios have reopened long-dormant manufacturing facilities and turned to allied colonies to provide much-needed vehicles and munitions. Let’s take a look at the weapon platforms you’ll be seeing . . . Combat flyers has been a staple in the Elite warfare for millennia, and the Hesduros-pattern T-54 Banshee harkens back to earlier designs that once dominated the Sanghelios skies. Freed from the design shackles of conservative San’Shyuum bureaucrats, the Banshee has been updated with numerous improvements, including an integral energy shield. The new generation of Ghosts feature a sleek biomimetic carapace wrapped over the latest boosted-gravity drive components. The T-54 RAV offers a greater level of protection and higher performance to give operators an edge during ground engagements. 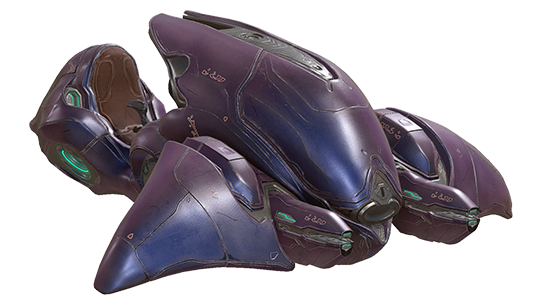 Few combat vehicles reflect the traditional Sangheili design aesthetic better than the ubiquitous Phantom. 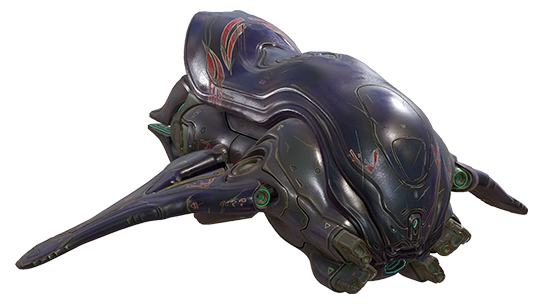 The new dropships crafted by Malurok Armory, the Kolaar Manufactorum, and Achoem Weapons to feed the ravenous war engines of the Covenant and Swords of Sanghelios draw their inspiration from aquatic ray-like creatures found on Elite colonies. Design details that the San’Shyuum had always deemed . . . inelegant. 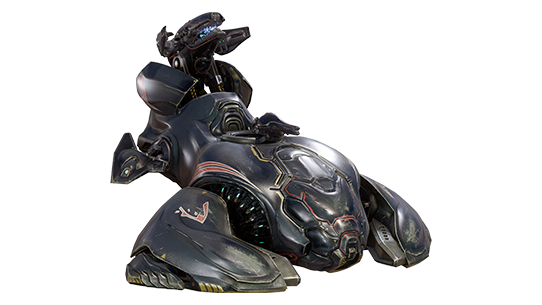 A new artillery vehicle for a new style of war, the smaller, more nimble Wraith plasma artillery is used by both sides of the Sangheili civil war to great effect. A completely new design, the T-58 LAGC features a host of refinements and design elements of great interest to the humans’ Office of Naval Intelligence. For users of the Halo Channel mobile app, you’ll now notice some pretty awesome features have been added that story-lovers will likely find quite useful, as you can now access all of the Halo Waypoint Universe content right on your mobile device through the app! That means you can pour over the ever-expanding catalog of characters, weapons, vehicles, factions, and much more while on the go. In addition to the encyclopedia features, you can also access your favorite Halo Waypoint blog content directly on the app, including Community Updates, Developer Diaries, and of course, your friendly neighborhood Canon Fodder. 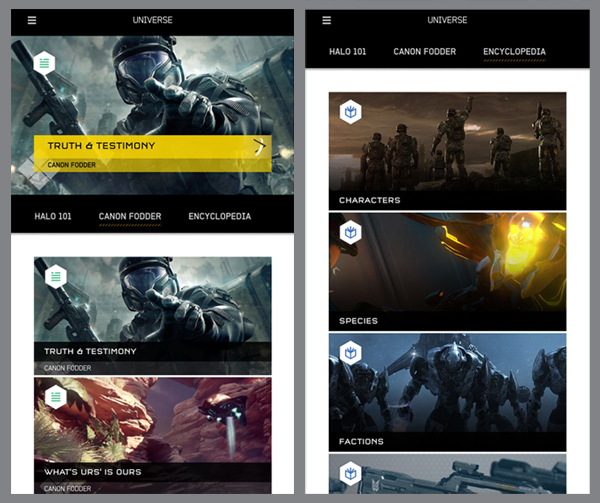 Plus, the Universe feature of the Halo Channel mobile app will of course also include the Halo 101 videos you've come to know and love, which explore events and personalities in the fiction to help fans get caught up to all the happenings across the galaxy. We hope you enjoy the added fiction-focused functionality that we’ve added, and look forward to continuing to expand the breadth of content you have to consume. You want more Halo? 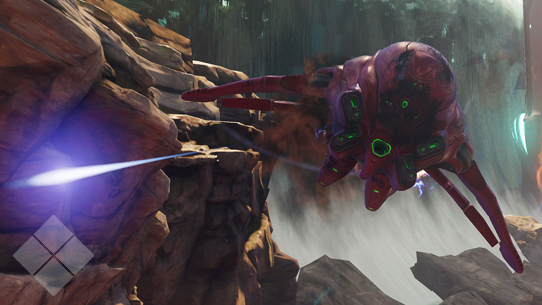 WE'VE GOT MORE HALO. And with that, we sign off for this week. 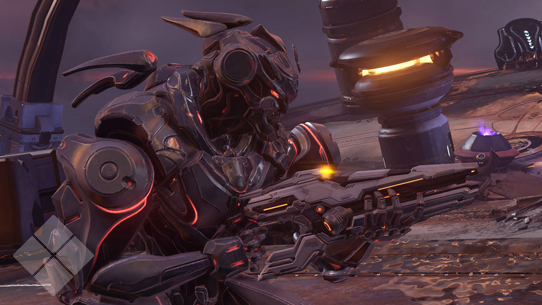 In case you missed it, our Franchise Team also sprinkled some extra-special lore-lovin’ into the recent REQ-collection blog posted by our fabulous Community Team. If you haven’t seen it yet, definitely give it a look! Oh and before we go, don’t miss the little gem we dropped on the unsuspecting world this evening. We hope you enjoy, and we hope that you’re ready to discover the truth. Until next week… Live well, play Halo, and do you remember when we were more purple-er? I do. 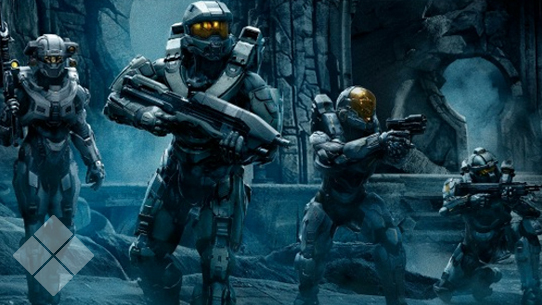 This week, we take a look at the armors of Blue Team and Fireteam Osiris, and get ready for E3.